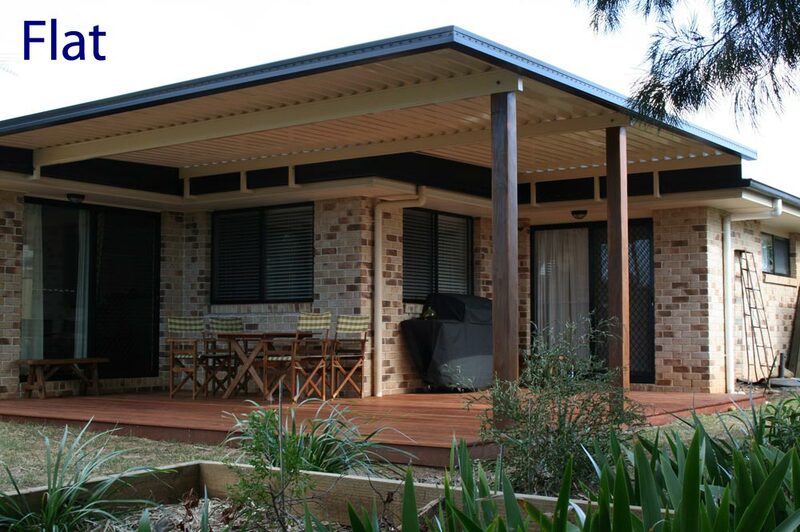 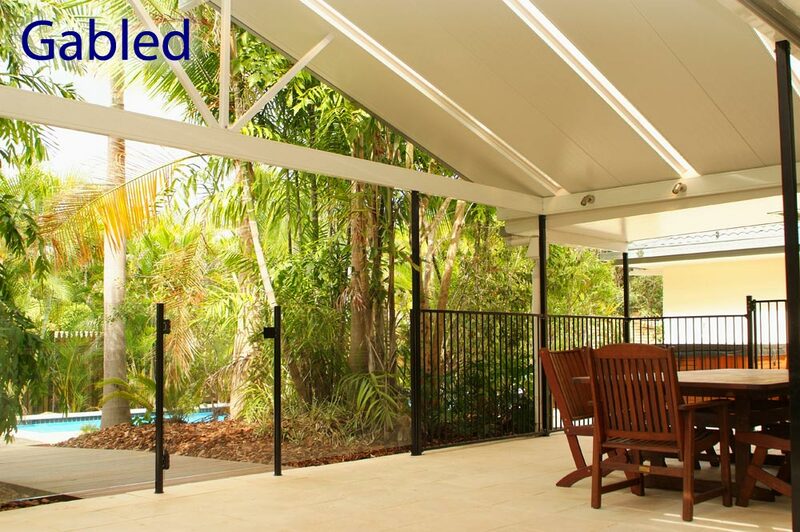 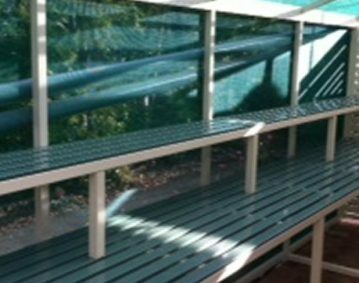 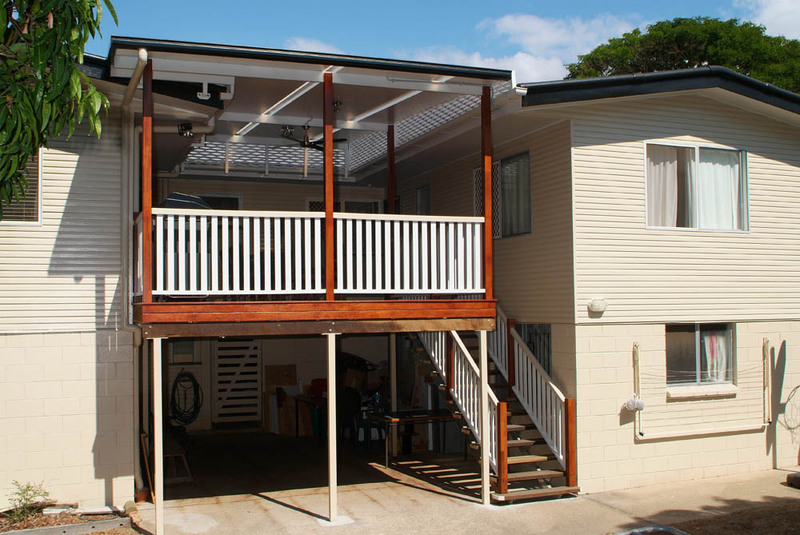 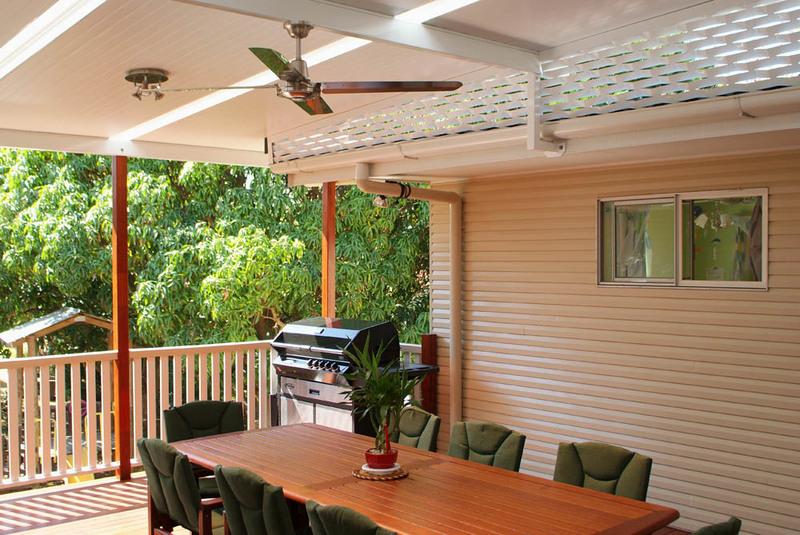 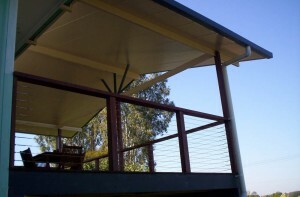 For the perfect patios or pergola designs, Homeshield Patios and Decks Brisbane are the best people to deal with in terms of range, flexibility, and getting an outstanding result. 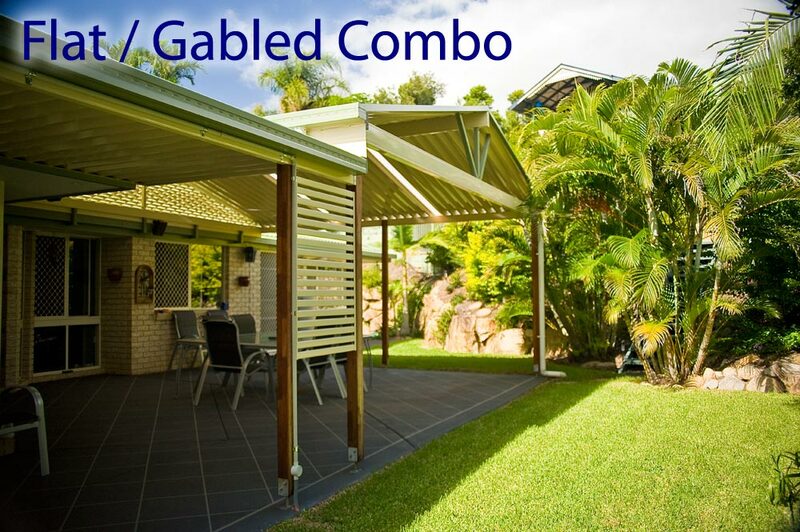 You benefit from Homeshield being “hands-on” patio builders and designers first – we care about what you are wanting to achieve with your patio and pergola, drawing from a wide range of offerings from a variety of manufacturers to make it happen. 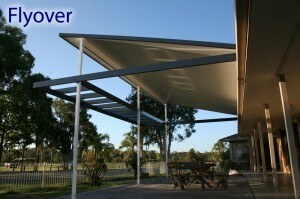 This flexibility means you’re not limited to the patio designs and styles of any one manufacturer. In fact, we’re supported by close to a dozen of the best names in the business. 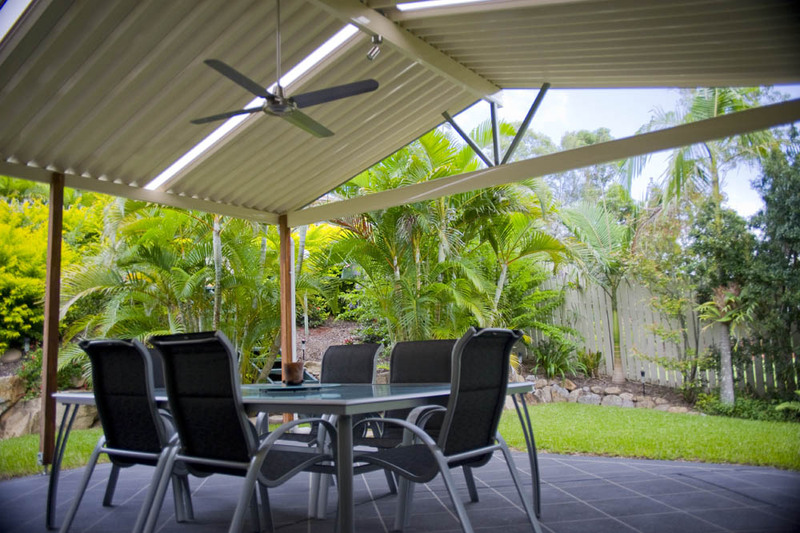 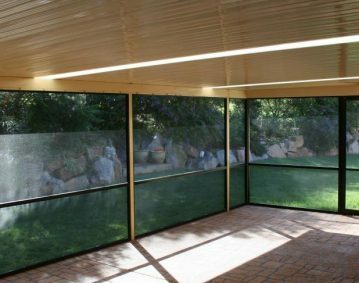 You even have access to a wide range of patio building products that are normally unavailable in Brisbane at your disposal. 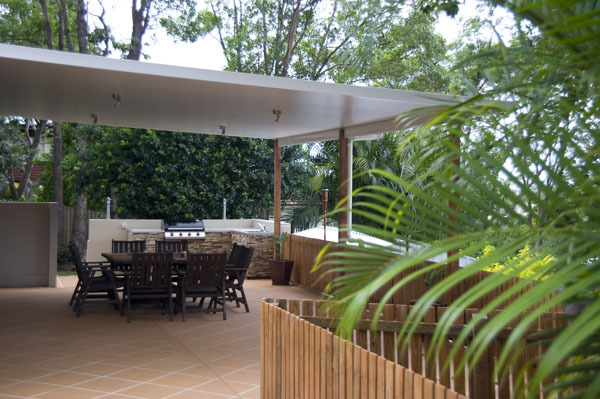 With our extensive range of styles and products available, we can design a patio personalised to suit your taste and property. 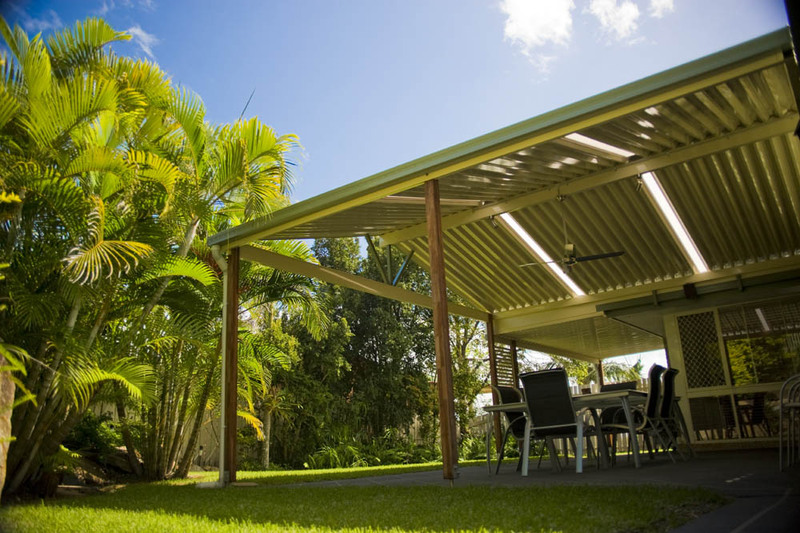 Best of all, we’re Brisbane-based like you are, so you can be assured of real local backup service for your patio. 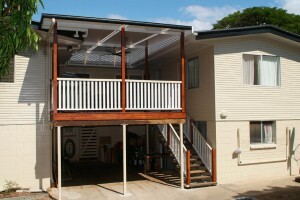 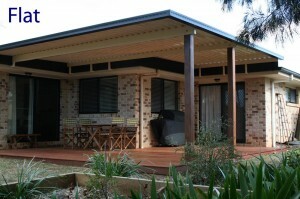 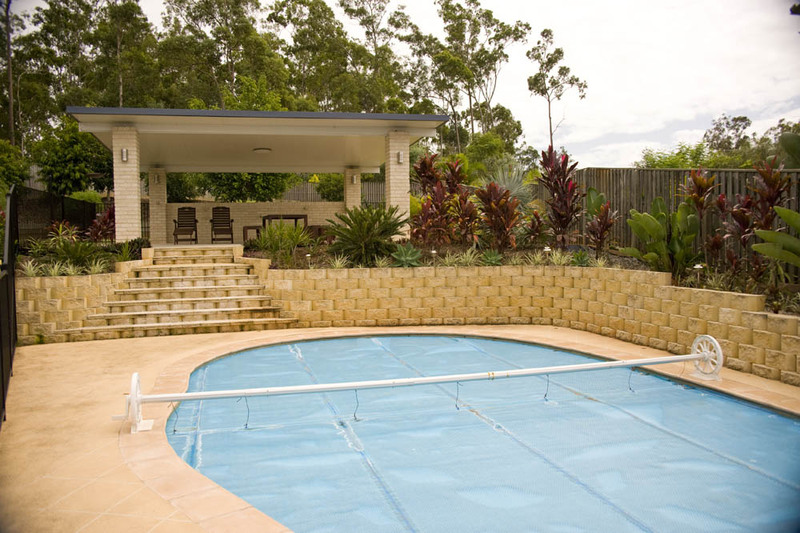 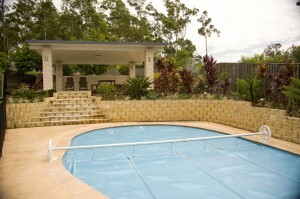 Waterproof, practical & economical, these patios are very common in Brisbane. 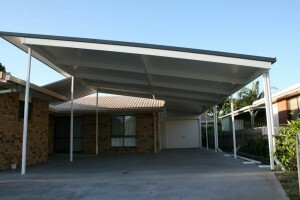 Open, airy, bright, patio roofing that can be matched to the gable pitch of your home. 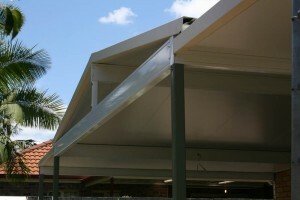 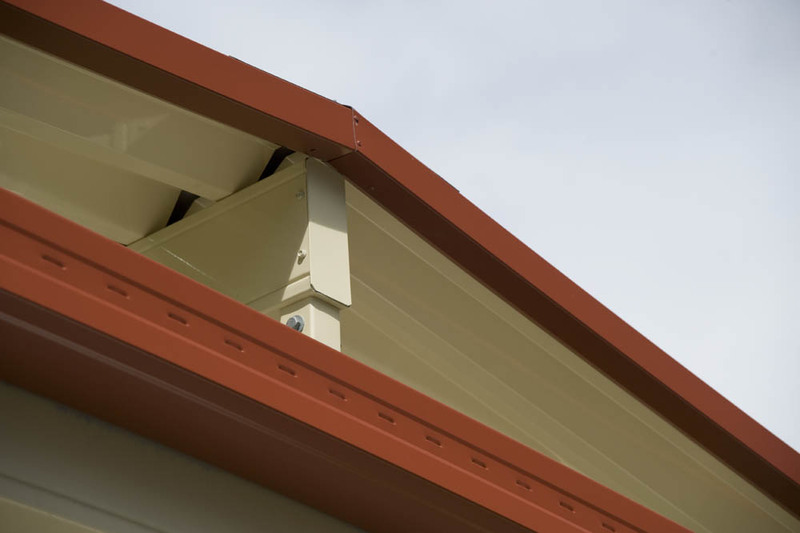 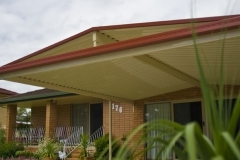 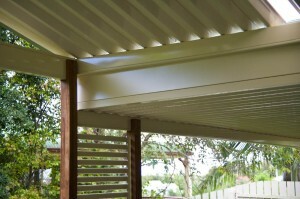 Great for large areas, creates visual interest and adds some variation to your traditional Brisbane roofline. Raised above the height of your existing roof, flyover patios are breezy, modern, and create a sense of space because of their increased head height. 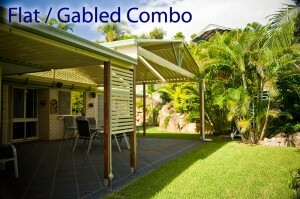 These are becoming quite popular in Brisbane. 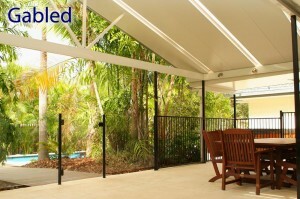 Homeshield can design a patio tailor-made to suit your space and needs. 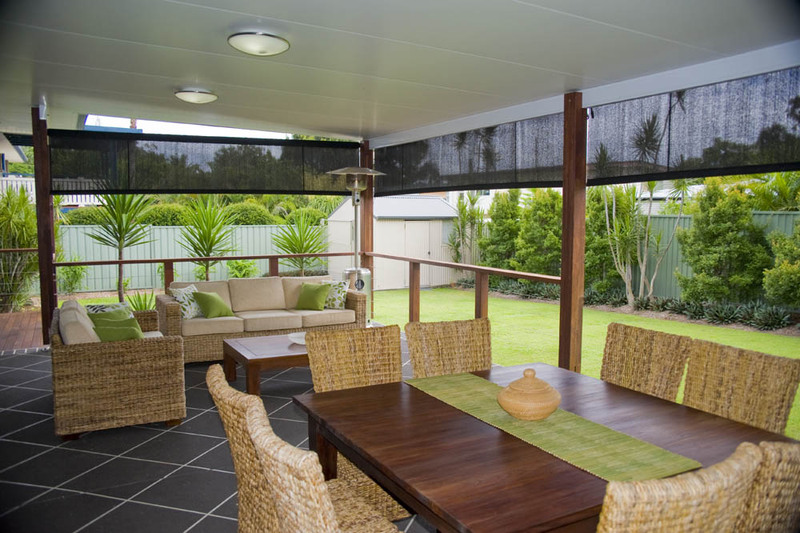 We are able to recommend the appropriate size and shape of your patio based on how many people you’d like to comfortably accommodate, and what uses you would like to use your outdoor room for. 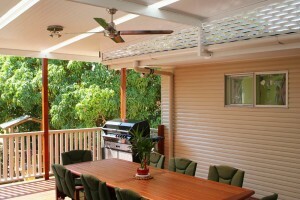 It’s all about using your patio to make the most of the Brisbane outdoor lifestyle! There is a lot of opinions out there on the pros and cons of Steel versus Aluminium and Insulated Patios. We can make it easy for you to decide what’s right for your patio designs. 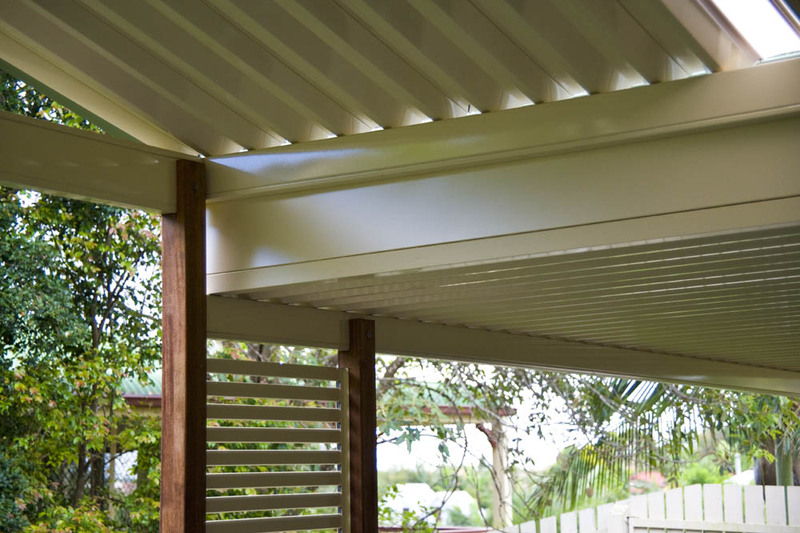 There are many choices you can make that will make your patio – and your home – shine. If you have a preference for a natural, warm look, there are numerous timber species we can recommend; and if you prefer a more low-maintenance structure, there are a range of powdercoated aluminium and steel options. 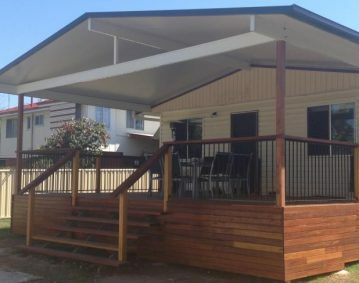 We’ve had years of experience designing outdoor rooms in Brisbane, and can build our patios to either match or adjust to the style of various existing building styles, right down to the same guttering details.